Now embroidered patches is getting more and more popular. 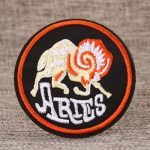 Some custom made patches is just beautiful which is suitable for sewing on clothes or backpacks. 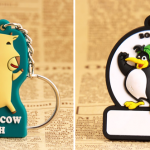 However, some other custom embroidered patches is unique which have special meanings. They have some good applications. 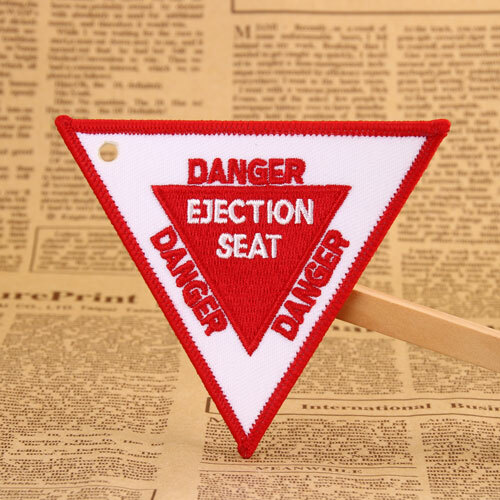 The Danger Custom Made Patches is a danger sign that can remind people that there is a dangerous item. The custom patches have a lot of functions. At first, you can stick it in front of the zoo’s tiger cage, of course other animals is OK. Secondly, this danger custom made patches can be attached to the electrical box, in case someone touches the electric box and is electrically connected. What’s more, you can put this to a dangerous place that no child in your home can touch. Why not choose this meaningful embroidered patches which have a lot of applications for yourself or your friend? The Miss to youth custom embroidered patches have special meanings. It consists of nine different colors. The nine different colors represents that youth is colorful, it is full of ups and downs. How about you? Is there something unfortunate or something in your youth? The custom made patches is meaningful, because it represents the nostalgia for youth. You also can customize your own Miss to youth custom patches based on your own real youth memories. The Free Hugs Custom Made Patches carries forward a spirit of love. Its theme is to give a hug to those people who need love or comfort. Like that song, as long as everyone gives a little love, the world will be better. 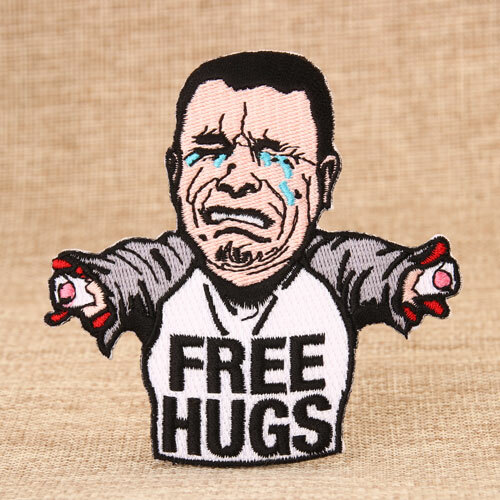 The Free Hugs Custom Made Patches is meaningful which can evoke your love. You can apply it to charity, for example, you can stick it on clothes which is public welfare clothing. There are still a lot of other meaning custom made patches, welcome your inquiry. You still can leave your comments. Welcome you visit our website: www.gs-jj.com. You also can email info@gs-jj.com or call 1-888-864-4755 toll-free.